I’m not entirely sure what the end result of a local-centric music blog posting regional tour dates for a band would be, but Google search results are a hell of a thing, and this is my website anyway so get off my lawn. Lawrence indie-pop quartet Cowboy Indian Bear are kicking off a two-week tour of the Midwest tonight with a show at the FOKL Gallery (host to the upcoming Psychfest) and will be playing with locals The Atlantic and Maps For Travelers. 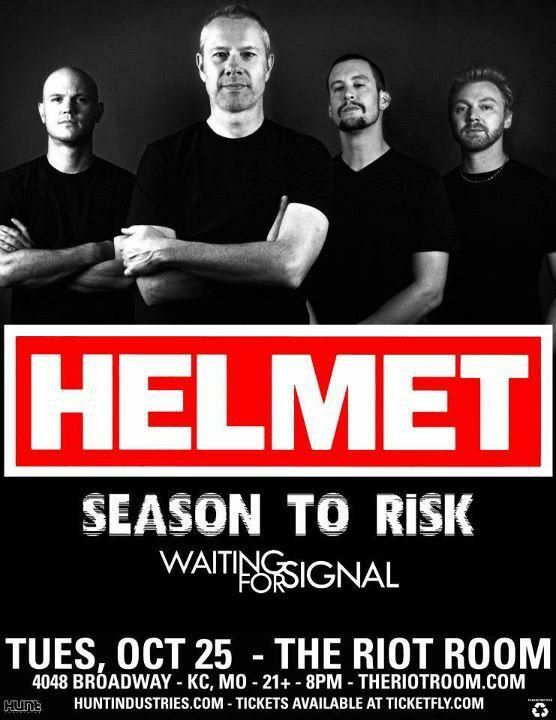 After tonight, they’ll be venturing over to Springfield, MO, and beyond until they make their grand return for a homecoming matinee with the fantastic Ghosty at the Replay Lounge in Lawrence on May 19th. It is highly recommended you attend if they are coming through your town. 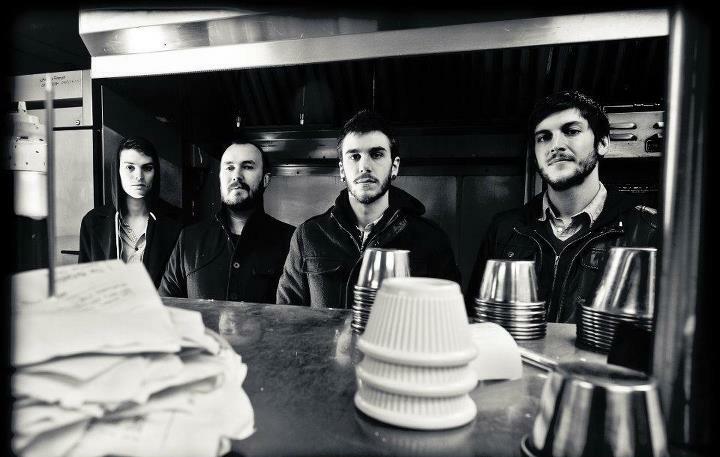 See the band’s video for “Saline” from 2010’s Each Other All the Time below, and stream or download their Daytrotter session here. Next month, Katlyn Conroy will be hitting the road for nearly two weeks on her first ever tour as La Guerre. 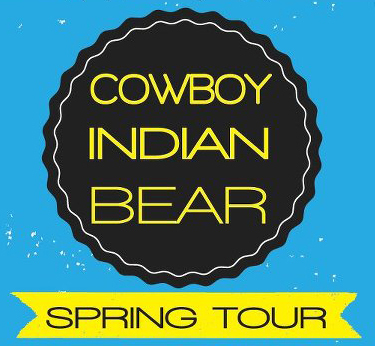 Conroy has been performing under various monikers and with different bands in the local music scene for the last few years, and officially became the fourth member of Cowboy Indian Bear after the release of their debut full-length. 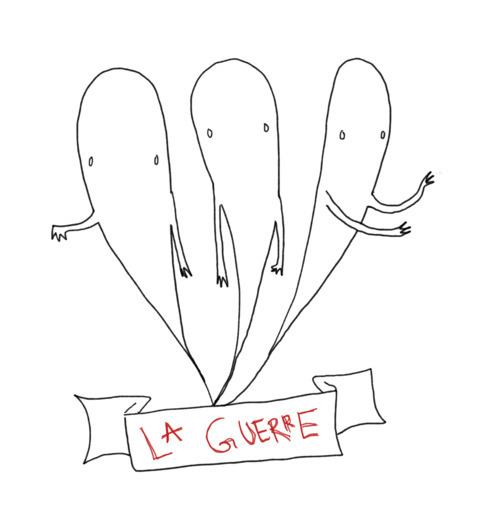 With La Guerre, she is given free rein to explore the darkest crevasses of minimalistic twee, and is expected to have a release out later this year on The Record Machine. Once again, if you don’t go see her when she comes through your town, you’ll be missing out. In the two short years that have passed since Lawrence six-piece Spirit Is The Spirit came about, the band has already self-released their own well received EP and played with a variety of bands, including performing two years in a row at the Middle Of The Map festival. 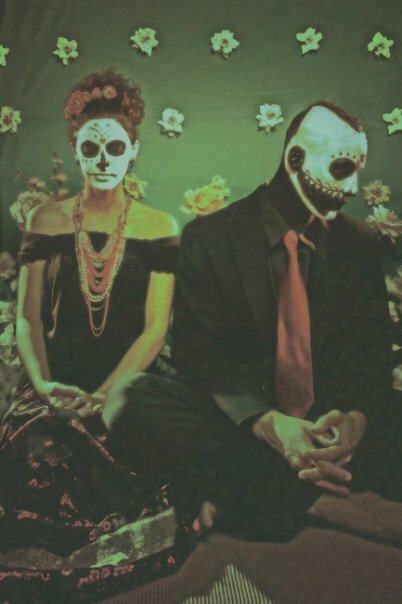 The band’s expansive, intricately crafted sound features a wide range of instruments that converge together in a sometimes booming musical ebb and flow, creating a lavishly textured and at times ethereal experience. The band is expected to release their debut full length later this year through The Record Machine, but in the meantime a sampling can be heard via their submission to Secret Handshakes, the Record Store Day collaborative split 12-inch between TRM and Golden Sound Records. Spirit’s entry to the compilation, “Pillows,” also comes with an accompanying music video, which can be seen below. If you like what you’ve seen and heard above, you may want to hop over to the band’s currently active Kickstarter campaign, wherein they are attempting to acquire $4,000 in pledges by June 2nd for an investment into a new touring vehicle. 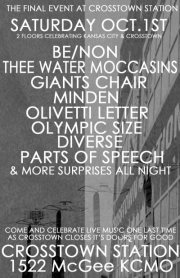 And lastly, if you aren’t doing anything tonight, make the drive over to The Brick to see the band play with La Guerre, Fullbloods, and Soft Reeds in celebration of the aforementioned compilation’s release. You can’t go wrong with a lineup like that. The third and final night of the second annual Middle Of The Map Festival was coming to a close. I had no choice but to make it the most ambitious day possible. I flew solo most of the day, which gave me ample time to venue-hop and catch both local favorites and make some very surprising new discoveries. Just a short twelve hours after Mission of Burma ended their closing set at RecordBar, I was right back at the strip mall venue, sliding into a booth to drink overpriced mimosas during The Record Machine’s daytime label showcase. If necessary, Minden could have forced an early sunrise with radiant indie-pop that is simultaneously glamorous and affably disheveled. Singer Casey Burge sashayed around stage in metallic spandex, and when I spotted two girls in the audience dressed in kind, I expected some audience participation during the band’s opulence advocating “Gold Standard,” but no– they were but ordinary hipsters. I had a bit of a realization during Minden’s set. 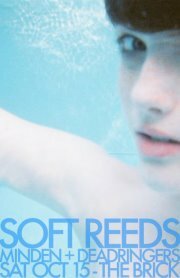 The band is well on their way to greatness, and even have a potential for “household name” status. 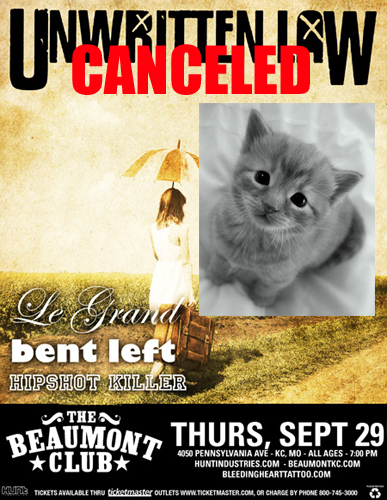 It’s just such a damned shame that they hit their ceiling in KC, and feel they must move away to Portland to prosper as musicians. Next up for the day show was Katlyn Conroy’s newest project La Guerre (though she was formerly billed under her own name). 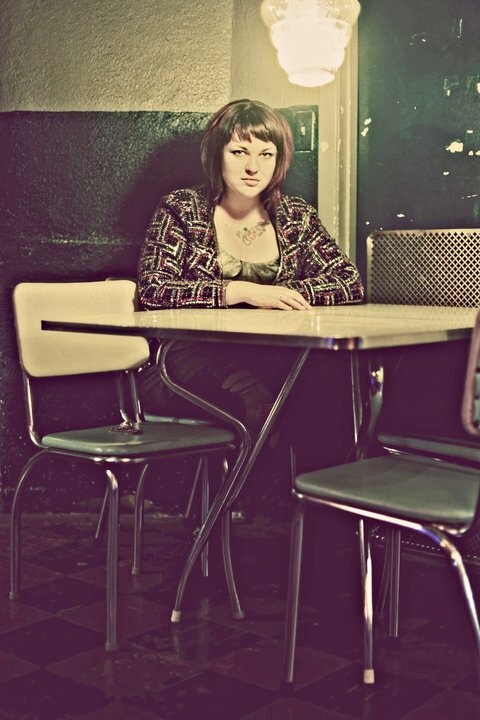 Conroy on her own has an undeniably saccharine voice, and when those pipes are laid over the blithely uncomplicated rhythm of her own keyboard and a backing band, creates a wholesome naïvety that holds the key to the fluttering, electronic-based twee in which she prevails. Conroy also performed at the festival with Cowboy Indian Bear, a great Lawrence-based group that is only further enhanced by her contributions. Maybe I had a little mimosa buzz by the time Akkilles gathered their arsenal of members to begin playing folksy, acoustic guitar led arias, but I wasn’t much of an audience of David Bennett’s when they began. 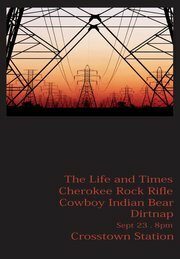 The multi-layered pop was admirable, but I chose to bid my adieu to the RecordBar and head over to the day show happening at Riot Room, where Cherokee Rock Rifle were tearing up the patio stage. Frontman Dutch Humphrey is obnoxious, offensive, and sings abhorrent lyrics while holding his rifle-turned-mic stand out to the crowd with little subtlety as to it being a phallic symbol. The crowd loved it, and so did I. Dutch Humphrey supplies an unquestionable arrogance that makes a frontman worth watching, and the southern-fried rock n’ roll delivered by the rest of the band with respectably day-drunk precision imprints the groove on your skull for hours afterward. Fast forward a few hours, and the evening shows are kicking off in succession all across Westport. Maps For Travelers opened up the Riot Room (inside, this time) and the crowd was already teeming with people excited for the bands to come. Most importantly, the band performing that very moment should not be ignored. The four guys on stage played until the sweat rolling down in their eyes blinded them, and then played even more. The influences of the band are a bit curious, but their live show is executed with the ferocity of a young(er) Hot Water Music and gives plenty of nods to the various projects of Walter Schreifels and Jonah Matranga in the process. I saw The Casket Lottery perform in the exact same venue, almost to the exact day one year prior for last year’s festival. But the last time I really watched the band was just a few months shy of ten years ago, when I was completely infatuated with them in my youth and they were still touring on their Survival is For Cowards album. 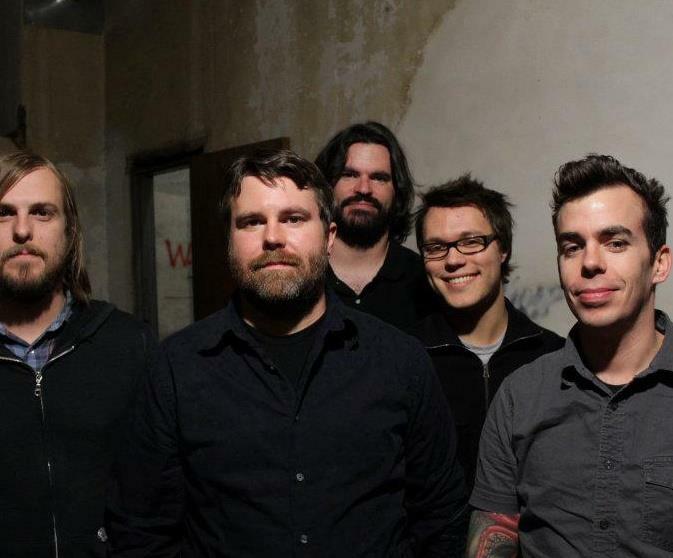 The Casket Lottery was a trio of Nathan Ellis, Stacy Hilt, and Nathan “Junior” Richardson back then, but these days (as in, on their forthcoming album) they have expanded to a five-piece that includes Brent Windler (Sons of Great Dane, Anakin) on second guitar, and Nick Siegel on keyboard. “Nostalgia” was without a doubt the word on the lips of all those in attendance, as the group cranked through old and new material alike as if they never missed out on those six or so years of not being an active band, and only aroused the appetite for things on the horizon in a comeback done so, so right. Although Reflector released a split 7-inch with The Casket Lottery in 1999, the record only served as a crossroads for the two, as TCL had a sole EP at that point, and Reflector was on the eve of issuing their last recordings as a band. Performing only their second reunion in the last decade, guitarist Jared Scholz was joined by Harry Anderson on bass and Jacob Cardwell on drums to rehash old songs that while musically on point in their arithmetic, lacked the familiar near-squawk of Scholz, replaced instead with a softer crooning while exhibiting songs from Where Has All the Melody Gone? As noted by Scholz early on in the set, the last time they shared a stage with both The Casket Lottery and following act The Appleseed Cast was 14 years ago, at a Halloween party. At this point, Riot Room was quickly filling in with those awaiting venue headliners Coalesce and Fucked Up. I chose to forgo the lingering stench of beard sweat, and ran over to Firefly to catch Fourth of July play to a modestly sized audience. The brothers Hangauer (Brendan and Patrick) provided the guitar and bass, while the brothers Costello (Brendan and Brian) furnished an additional guitar and the drums necessary to fuel Brendan Hangauer’s creative outlet. The crowd was small, but the number of mouths in the audience that knew every word to every song (even those yet to be released) were far greater than any other band at the festival thus far. The quartet sounded impeccable, and their jaunty pop clattering off the lavish furniture of the speakeasy was not entirely disjointed from the scenery. I dipped out of Firefly a bit early to catch my second wind with an espresso (after the day show, it was a wonder I was still standing), and passing the vast swaths of festival goers lined up outside the Beaumont and Riot Room only further affirmed my decision to head down into the chambered depths of the Union to catch the remainder of The Devil‘s set. The Lawrence quartet of Mike Teeter, Natale Collar, and Sara McManus is led by Taylor Triano, and pummeled out a filthy, stoner rock answer to the question “what would Janis Joplin sound like today?” — part performance art-punk, part unforgiving noise rock. The Oklahoma by way of Lawrence band Mansion wreaked a towering ruination of doom metal upon the audience with a face-liquefying decibel surely outlawed across much of the country. Almost entirely instrumental, the songs were time-traversing expansions of momentum with a metronomic backbone rhythm the only thing keeping the audience from devolving into throat-tearing creatures straight from the pages of a Lovecraft novel. Whether they played one forty-minute song or ten four-minute incantations, I have no idea, but their opus could soundtrack the apocalypse. While others were drinking the kool-aid of festival hype bands, Cleveland’s mr. Gnome were creating a fan for life in what amounted to little more than a dreary cavity carved into the basement of an old Midtown building. Through the entirety of the weekend, I watched bands that varied from pretty good to great, to even some old standby favorites, but this duo pushed sound from their speakers fit for an orchestra of musicians, and seemingly with little effort. Nicole Barille’s technique was a spastic array of hummingbird-paced guitar strumming culminating in a medley of genres and influences, and drummer/pianist Sam Meister’s work behind the kit was so robot-esque in its accuracy it’s a wonder he didn’t exhaust himself halfway through the set. I’m kicking myself not for watching them, but for even considering the possibility. 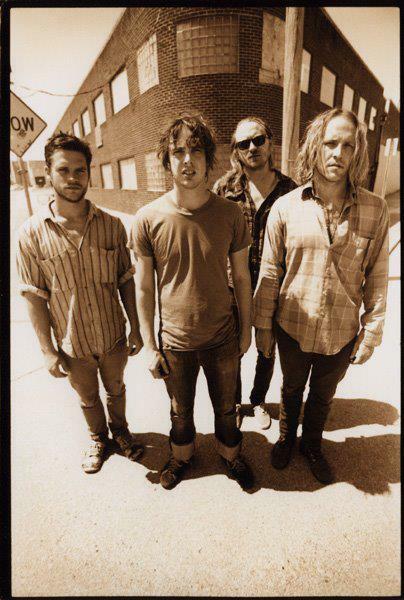 The second group of Oklahomans to climb behind the guard rails that create the makeshift stage at the Union, Broncho played a set covering most of their debut album Can’t Get Past the Lips. The band left the room a sweltering mess of sticky bodies after laying out a sound akin to The Stooges, The Exploding Hearts, and leagues of other punk bands with era-defining attitudes from the ’70s, ’80s and today. 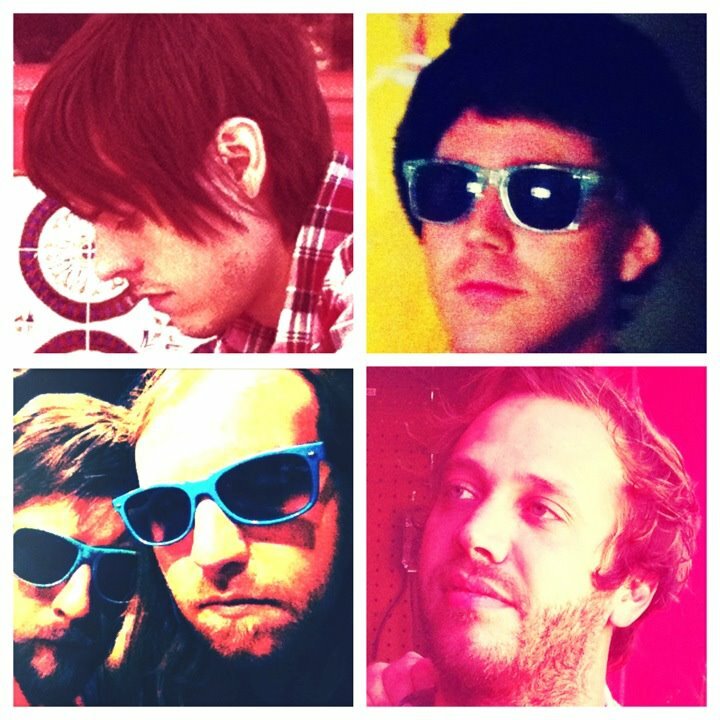 Frontman Ryan Lindsey can also be seen as part of Starlight Mints, and joined the defunct OK band Cheyenne after their album was released by The Record Machine, whose owner Nathan Reusch curated the entire festival. Phantom Family Halo brought their traditional stoner psych in from Brooklyn, and played an ultimately forgettable set that was doomed from the start, crammed between two of the better bands of the night. The band took a backseat to most of the room’s conversations at the time, and with every other venue having already closed their night out by that time, it was inevitable that the crowds would gather and the overflow would begin to gradually fill the room. Which it did, for a short while. 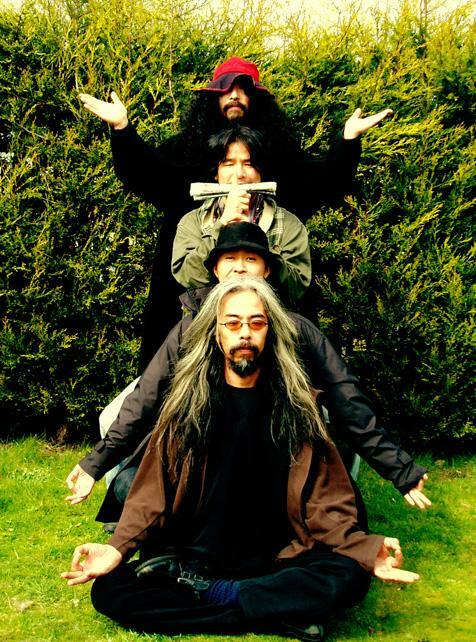 Acid Mothers Temple began at 2:00 in the morning. Had they started at their planned start time of 1:30, they may have gotten an extended set, but due to city regulations, the sound was cut off after only 40 minutes, so that the place could be vacant by 3. In the short time the Japanese psych saints played, I stood on top of someone’s road case (sorry) that was tucked away in a cement support pillar’s corner, and closed my eyes for most of the set. Not because I was tired, but because the band’s free-form space prog was a sensorial trip for the mind and body, and removing one of the senses was the only way to heighten that of one that was more important at that time. I spoke with the band’s road manager/translator after the place had been cleared out, and he confessed that although the prints available for the tour stated it was to be the last tour, the reality was it is only their last tour of 2012. Well played. The final tally for the weekend concluded with 25 bands having been watched, seven venues attended, a boundless number of beers resting in my belly, and a revolting number of sleep hours lost. Don’t know about you, but I can’t wait to see what’s in store for year three. 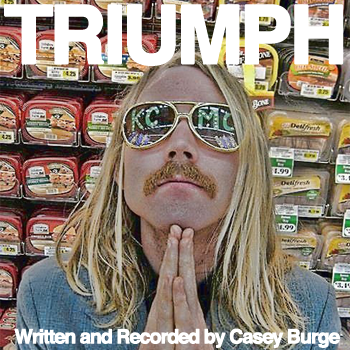 Kansas City musician Casey Burge has been more than a continual blip on my music radar since I was but a teenager. From his work in the late, lamented Lawrence indie rock band Kelpie, who boasted an arsenal of musicians from other area favorites like The Appleseed Cast, Buffalo Saints and Larryville expats Cavaliers, to his collaboration with Jim Button in the Button Band, Burge’s musical craft has matured in the public eye for nearly a decade. I had all but forgotten about the man when he re-emerged recently in Minden, a quartet being billed as some sort of indie rock supergroup, whether by the band’s consent or not. Having gotten a chance to see the band perform their style of multiple decade-spanning indie-pop live at Riot Room as part of the Middle of the Map Fest, I can attest to their larger than life sound and eagerly look forward to their output in the future. But I digress, this post is about the man, not the band. Unbeknownst to myself, Burge was still recording pop gems in his bedroom throughout the late ‘oughts, and they were not made public until early this year when local cassette label Overland Shark released a limited run, 20-track tape of his work from late 2007-early 2008, titled Universal Fun. Though simply recorded through a computer microphone, the heart of every song is encased in soaring bittersweet pop melodies, most of which last under 90 seconds and either fade out without a real conclusion or end in an odd, almost saddening guitar strum, a scrapped demo track of a fully fleshed song that will probably never exist. And yet, as the bright yellow cover would subtly suggest, the sunny simplicities of those songs gave new and old listeners a view into what Burge was shifting toward, a sound that would soon break out into the aforementioned Minden, and yet another solo release. 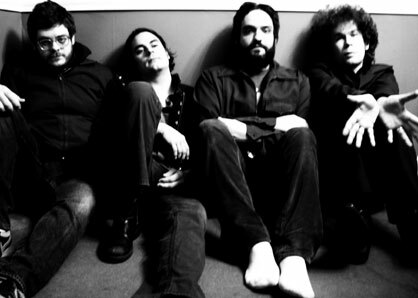 Triumph was recorded between February and May of 2011, and shows a decidedly more coherent creation process in the instrumentation and recording, gaining that much more stability from the drum machine Burge employed for the release. Instead of an assorted spread of minimalistic acoustic pop, the nine track release is as robust as a lo-fi album can be, giving nods to the annals of pop anti-heroes from the last four plus decades. Two of the tracks from this release were re-recorded as Minden for their upcoming 7″ on The Record Machine, and plans are for a coinciding release week with the cassette I currently speak of. In the meantime, go check it out for yourself right here, and pre-order the cassette while you’re at it.